Tina and Mike’s wedding day at The Olde Mill Inn in Morristown was so much fun! 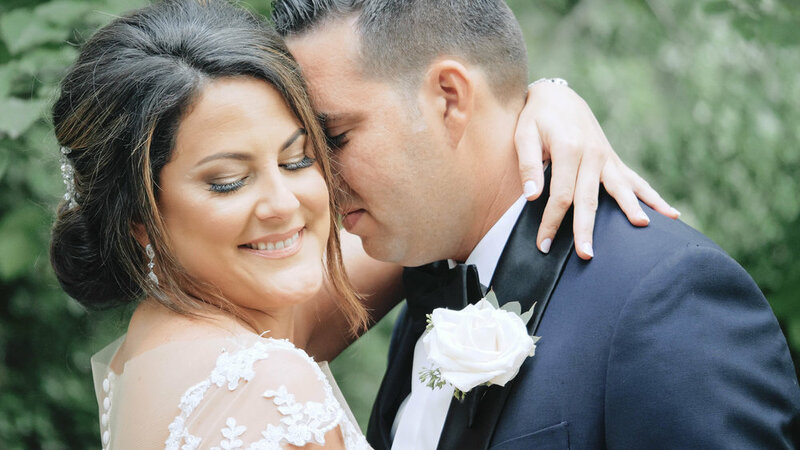 From the moment we met Mike and Tina, we could tell that they bring the best out of each other’s personalities, and their infectious laughter and joyous spirits really made this a day to remember! The Olde Mill Inn was filled with laughter, stories and good vibes as Tina prepared for her wedding day surrounded by her bridesmaids and family! And in another part of town, Mike got ready for the big day with his groomsmen and brothers…taking his own advice by stopping, taking a second, and enjoying the moment of anticipation before seeing his bride to be! When it came time for the ceremony, it was a short walk from the Arboretum to Assumption Parish downtown. 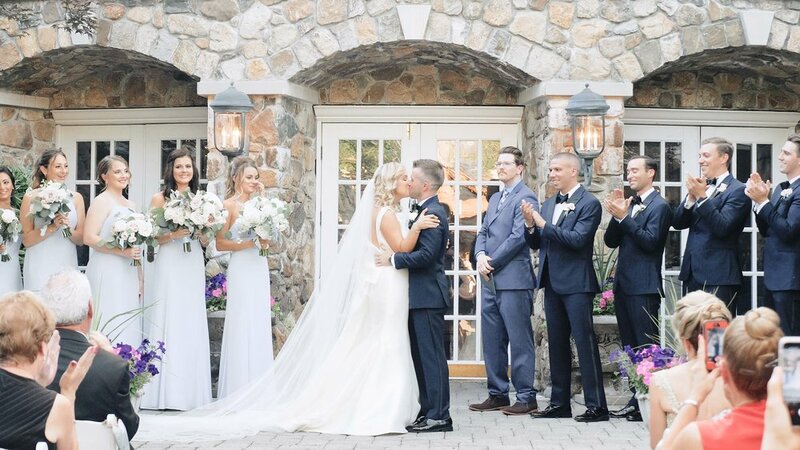 Mike and Tina were so excited about the fact that they were going to be marrying their best friend — you can see a sneak peek of the video we put together of their bridal party celebrating their love and friendship here. And once they officially tied the knot, we can’t forget Mike’s celebration “Dab” as they were introduced to the congregation as husband and wife! Then, it was time to get the party started! The band was amazing and kept the dance floor packed all night long! The moment when Mike and his groomsmen busted out their American Flag “Chubbies” shorts toward the end of the night was definitely unforgettable! And, to top off the evening, Tina and Mike surprised their guests with a pork roll, egg and cheese food truck!! We just had to join in on the fun and try one for ourselves — it was an amazing end to a perfect wedding day! "November 2011, a spark ignited a flame, not just in a campfire in Upstate New York but inside the hearts of two souls who had no idea where their paths would lead." 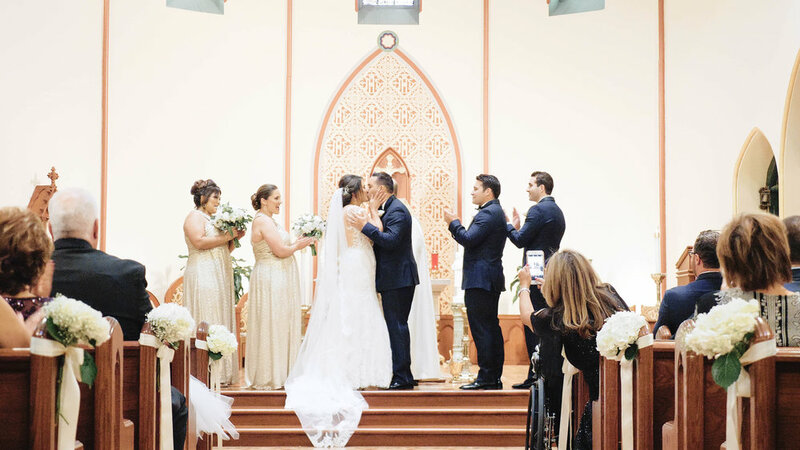 And sure enough, their paths eventually interlaced together to become one and brought us all together to celebrate this beautiful couple on their wedding day! 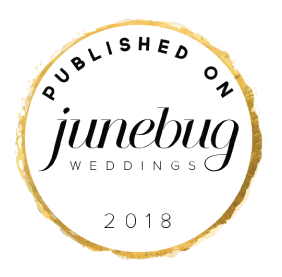 Jamie and Matt's love story has to be one of our favorites and it was told just perfectly by their maid of honor, best man and officiant on their wedding day. It was so special to hear them all tell the story of how they met, the proposal and all the qualities that make this couple just perfect for each other. This was definitely one of our favorite parts of their wedding. And if you want to read more about Jamie and Matt's love story, you can check out the blog post here and even see their sneak peek video! Jamie's wedding dress was absolutely stunning and just perfect for their classic and romantic wedding. And when Matt turned around to see Jamie for their first look, he was nothing but smiles seeing his beautiful bride. I swear these sweet moments just get me every time! 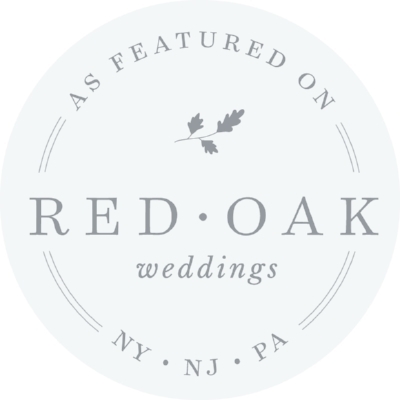 They had the most beautiful photo session at The Friends of The Frelinghuysen Arboretum before heading over to Olde Mill Inn for their wedding ceremony and reception. And we got to work with our good friends Idalia Photography and Mallory Weiss Planning, the perfect recipe for the best day ever! Matt's best man said it best, "The sign of a really great relationship is when two people genuinely bring out the best in each other and that is true for Jamie and Matt." They really are the perfect match for each other. 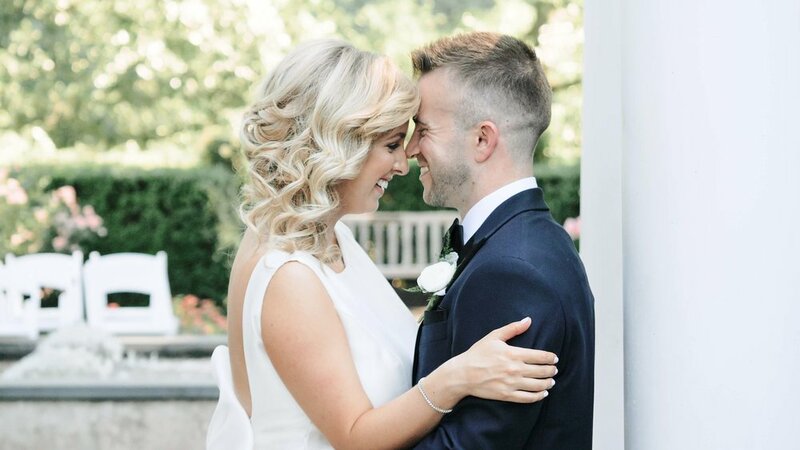 This couple and this best man speech gives us all the feels!! It all started back in 2011 when Jamie and Matt were both invited to a weekend in Upstate NY by their mutual friend Caitlin. At the time, Jamie was living in NJ and Matt was in Long Island. They didn't think they would see each other again, but something stuck the weekend when they met. And it turns out it was the beginning of a 2 year long distance relationship that included a lot of long weekend commutes back and forth to see each other. They eventually moved into their first apartment together in Smithtown, NY and then a few years later another apartment together in Astoria, NYC. It was on June 3, 2017, Matt proposed to Jamie on the Brooklyn Bridge with the backdrop of their new city. Matt even planned a surprise engagement party with friends and family afterwards! What a love story!!! !